Alloc is a major laminate flooring manufacturer. Their retail sales brochure brands the products line as American. 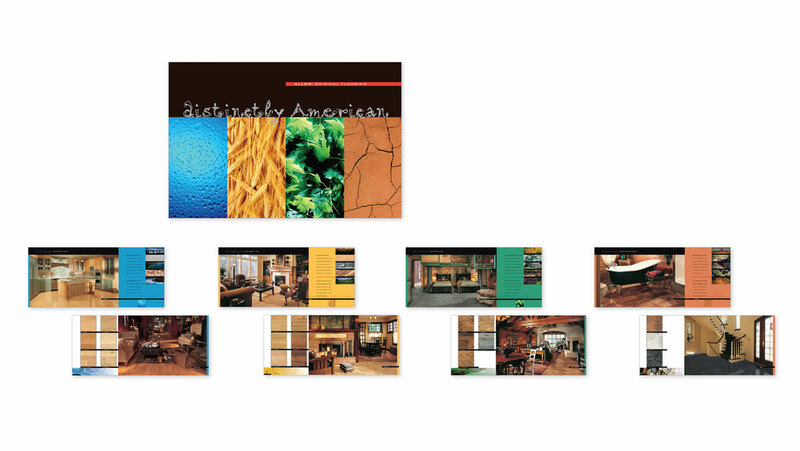 The flooring was divided into four categories and matched with four environmental zones of the U.S. and identified throughout the branding with color coding. The brochure was awarded a 2001 Design Annual / American Graphic Design Award and a The New York Festivals Print Advertising / Finalist Certificate. 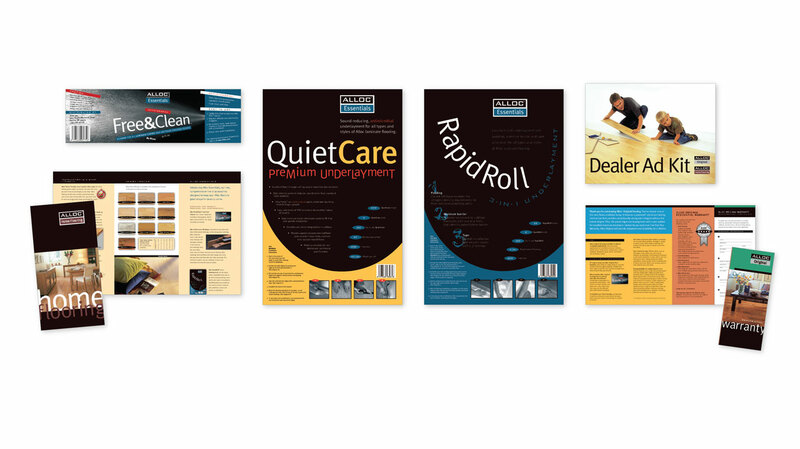 Point-of-purchase display posters and product sell sheets reinforce the branding as a strong visual for the customer. The four posters maintain the four categories of flooring as in the brochure. 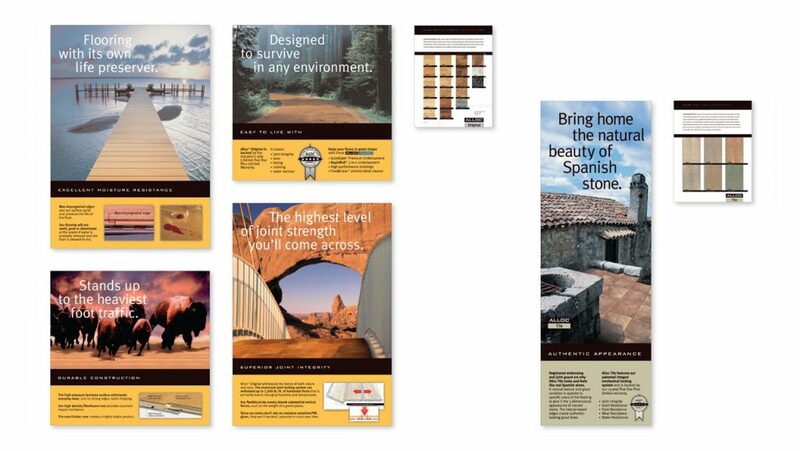 Flooring samples are placed into an environment that emphasizes the technical attributes featured at the bottom of each poster. Labels for tertiary products continue to unify the direction of Alloc: padding for under the flooring, cleaner, secondary flooring and support materials.